PBE is pretty much just the bottom half of the PAE chart for finalists. But since it represents the people who underperformed before the jury, we broke it off into a separate table (and listed the scores from the largest underperformance on down to the smallest). In seasons 1-29 there were 32 overperformers (positive PAE score) and 40 underperformers (negative PAE). We've listed only the "bottom" 25 here. 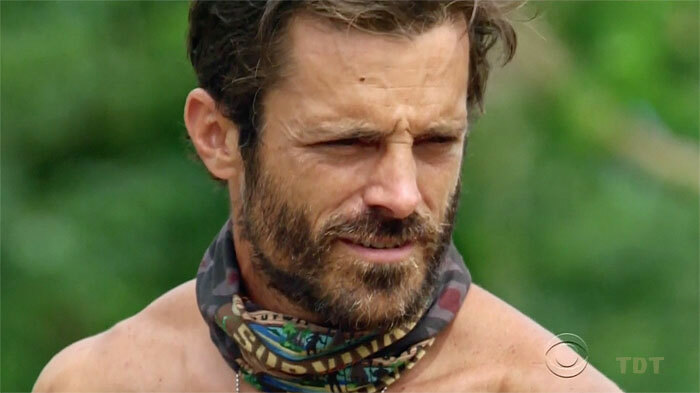 Sorry, other 15 barely underperformers (including Brian Heidik, S20 Parvati Shallow, S2 Colby Donaldson, and S13 Ozzy Lusth). Again, PAE uses the "No jury" score (ChW + wTCR). First, we calculate "expected" jury score (ExJ), which is the number of jurors (TotJ) times the ratio of the player's No jury score (NoJ) divided by the sum of all the NoJ scores of the finalists (SNoJ). Basically, in a jury of the size the player saw, they should receive ExJ votes. ExJ = TotJ * [NoJ/(SNoJ)]. So these are the 28 worst PAE scores. Our condolences to all those listed. There are many, many reasons you could end up here: (1) You actively antagonized the jurors, daring them not to vote for you; (2) you did fine, the jury just really, really liked one or more of your opponents better; (3) you rode coattails the entire way, and nobody voted for you; or (4) the most popular excuse... bitter jurors. Feel free to choose whichever or as many as you see fit. SurvAv: Calculated by the formula SurvAv = ChW + wTCR + wJV%, or SurvAv = ChW + (2*[VFB / (4+VAP)]x(14/TCA)) + (6*JV%), for a maximal score of around 18-20 after jury votes are counted. NoJ: Same as SurvAv minus the jury votes, or NoJ = ChW + wTCR. SNoJ: (Should be SigmaNoJ, but this is the web) Sum of the NoJ scores of the two or three finalists. ExJ: The expected number of jury votes the player might receive, based on NoJ. ExJ = TotJ * [NoJ/(sum of all NoJ of the finalists)]. PAE: As described above, PAE = (JVF - ExJ)/ TotJ. It shows the percentage of the players jury vote above (or below) that earned by challenge performance and/or tribal council record. It functions as an estimate of social game.